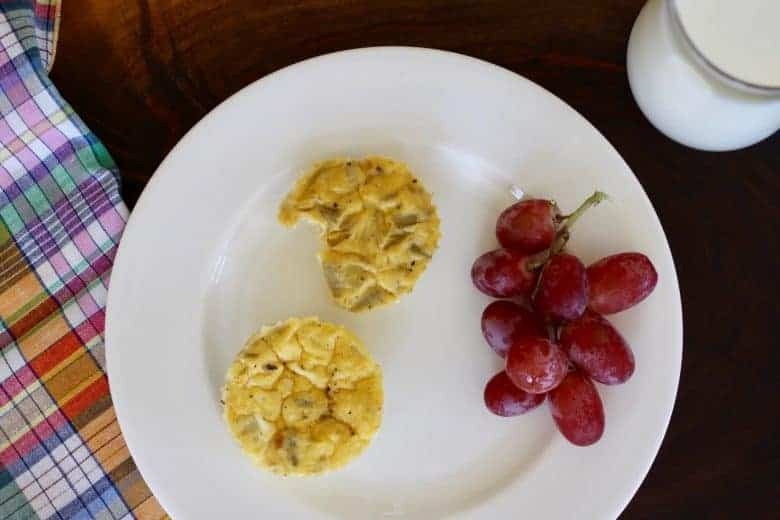 High in protein, low in sugar, Green Chile Egg Muffins are an easy healthy breakfast recipe – for breakfast or dinner! Make ahead to control morning chaos. Eating curbs the hangries. Eating protein keeps it away longer. Research suggests that eating 20 to 30 grams of high-quality protein at each meal – breakfast, lunch, and dinner, rather than the current practice of eating more protein at dinner – satisfies hunger longer which can reduce snack attacks. Plus protein optimizes muscle repair and development. 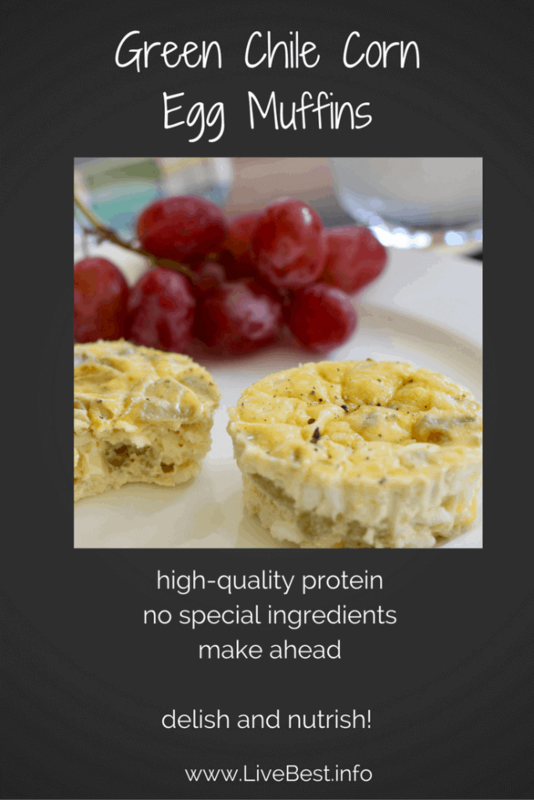 High–quality protein is not hard to find. 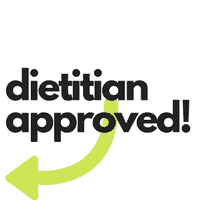 Meat, poultry and fish, milk, yogurt and cheese, eggs, beans such as black or pinto beans, and peas such as split peas and lentils, nuts and seeds, tofu, soybeans and hummus are all good sources. Three ounces of beef or chicken is about the size of a woman’s palm. Delish and nutrish with Mexican flavors from green chiles, corn and hot sauce plus high-quality protein from eggs, cottage cheese, milk and corn. No special ingredients required. All are found at the grocery store, if not in your kitchen. They are made in a single bowl. Have make ahead convenience. Bake them the night before or combine the ingredients the night before baking and bake them while your brewing morning coffee. Don’t want muffins? Bake this in an 8×8 pan. Spray it with cooking spray to make cleanup easier. This month’s The Recipe Redux focus is on savory breakfasts. Breakfast for breakfast or breakfast for dinner, breakfast food is popular. But breakfast is often filled with sugary cereals and syrups, breakfast cookies and bars, too-sweet yogurt and syrupy coffee drinks. Sometimes you wonder if it’s more dessert than a way to start your day. 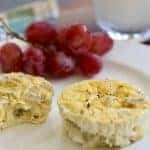 In an earlier post I offered ways to reduce added sugar, to support that here are healthy low-sugar breakfast recipes to get you going. Pin it for later. Would you consider rating it or leaving a comment for me? 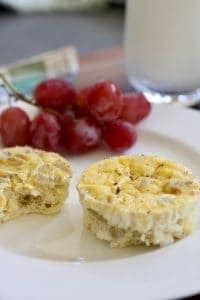 High in protein, low in sugar, Green Chile Egg Muffins are an easy healthy breakfast recipe – for breakfast or dinner! First: Preheat oven to 350˚F. Line muffin with paper liners or lightly spray the cups with cooking spray. Mix: all ingredients. Pour into muffin cups and fill to ¾ full. Bake 20-30 minutes until mixture is set and lightly browned. Don’t want muffins? Bake this in an 8×8 pan. Spray the pan with cooking spray to make neater squares and cleanup easier. Check out how the other healthy food bloggers from The Recipe Redux are taking the sweet stuff out of breakfast. 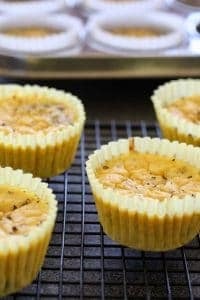 These are so easy to make but sound delicious!! Thanks, Karman. Yes, these are easy to make plus I love the flavor combination!